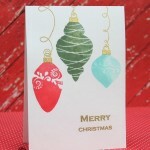 This card was created with just one stamp set by Wplus9. 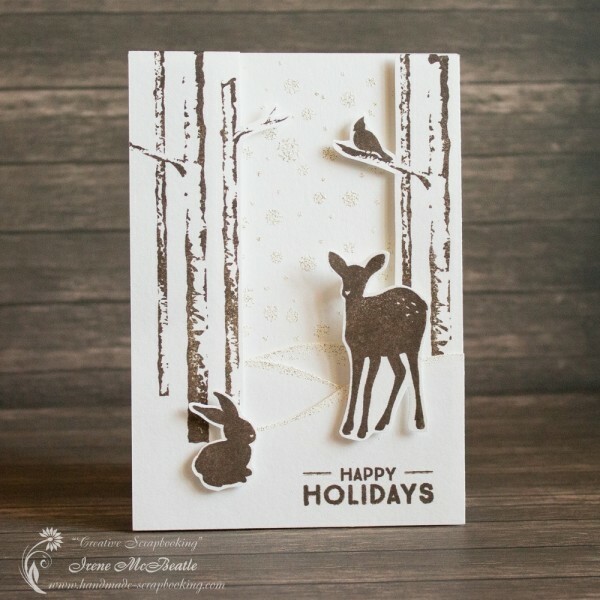 Stamping, cutting out, and layering – and the card is finished! 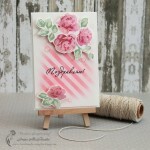 I’ve been waiting and finally got a chance to use this stamp set. I mean, waiting for the right season, free time, and inspiration. 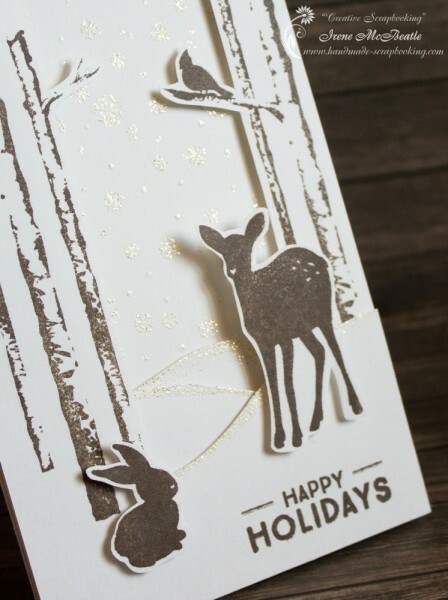 I used just one color of ink (Hero Arts) for the images and some heat embossing with glitter powder for the snow. The layers are raised using foam tape.